A composite stable door can add a whole new dimension to your kitchen or back door, with all the benefits of a uPVC door and none of the ongoing maintenance issues of a timber stable door. 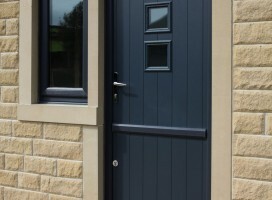 As with all our composite doors, our range of stable doors are manufactured in our own facilities to meet your exact requirements, and combine a solid timber core with a Kommerling steel reinforced profile, highly durable plastic edge banding and two thermo plastic skins. 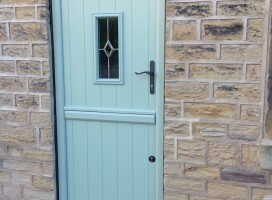 Our stable doors can be opened either inwards or outwards, and are available in any of our colours, inside or out, and the majority of our styles (excluding some Italia designs - ask for details). As standard all our stable doors come with a high security, fully adjustable multi point locking system. They are also keyed alike and benefit from an internal thumb turn cylinder on the bottom half (optional). They also have a latching security bolt as standard. We also have an extensive range of traditional and contemporary ironmongery to add the finishing touch to your new stable door, including door knockers, door handles and letter plates. 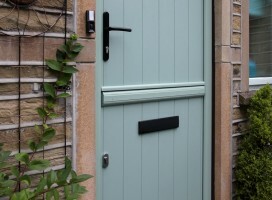 Flint 2 composite stable door in Chartwell Green with White interior. 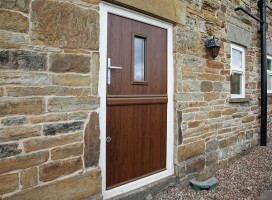 Bespoke Flint 2 composite stable door in Walnut with Cream frame installed at converted barn in Sheffield. 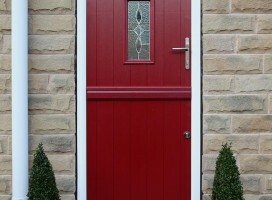 Beeston composite stable door in Golden Oak. 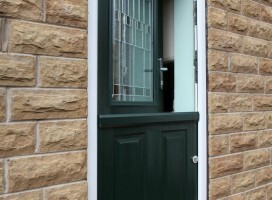 Beeston composite stable door in Green with Prairie glass. Naples composite stable door from the Italia Collection in grey. Interior of Flint composite stable door showing white interior. 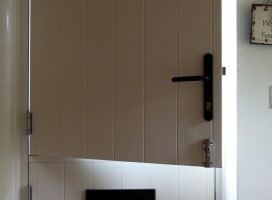 This Ancona stable door is from the Italia Collection. 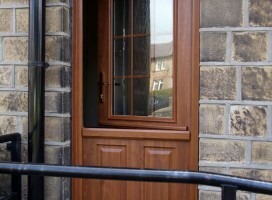 Irish Oak composite stable door with Georgian glass. 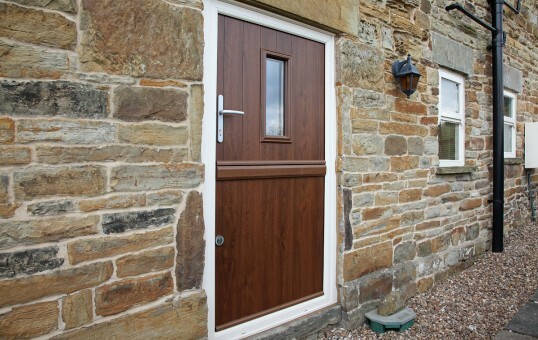 Flint 2 composite stable door in Walnut with Cream frame.